IT’S COMING SOON BE READY! The next big US earthquake is overdue. 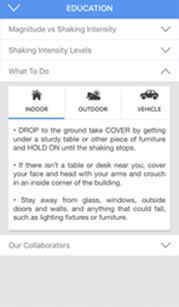 What if you could know about a quake before it strikes? Now you can. 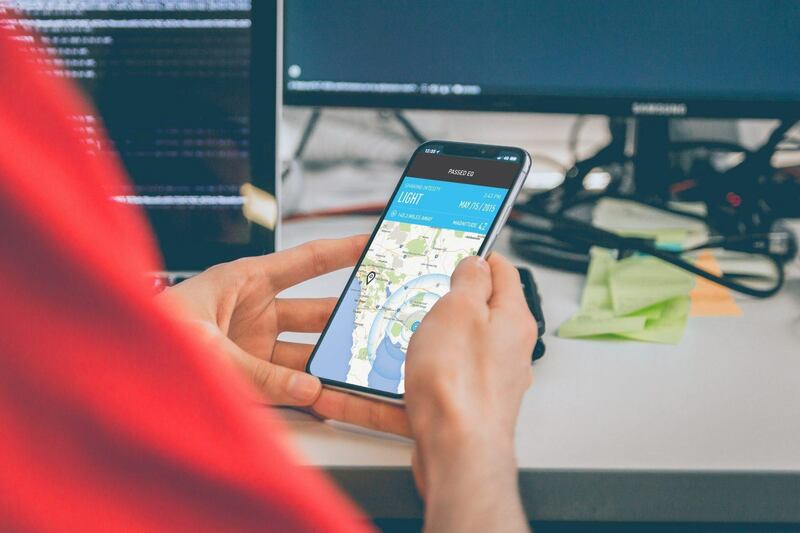 Early Warning Labs will soon release the beta update to QuakeAlert, a 100% free app that gives a warning up to 60 seconds before a dangerous quake. Imagine it’s a typical Friday afternoon. You look out of your office window over the San Francisco Bay to see the brilliant colors of the sunset. What you don’t see is 131 miles away, under the ocean floor near Monterey, a rupturing San Gregorio fault is sending out its first wave. This quick-moving, non-harmful “P-wave” is detected by a sensor managed by the USGS. The slower, more damaging S-waves are to come next. 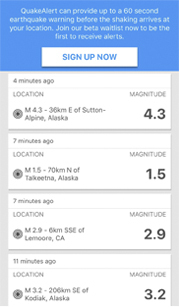 This data is immediately transmitted to the United States Geological Survey where the location & size of the quake are determined. 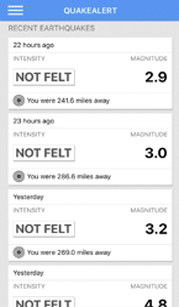 The Early Warning Labs cloud server calculates the individual alerts for all users with personalized time to shaking and intensity. With the 20 seconds of pre-shake warning you’re able to drop to the floor, crawl under your desk, and hold on. As the building begins to shake, you see a huge framed piece of artwork fall from the wall directly onto the chair where you were sitting. 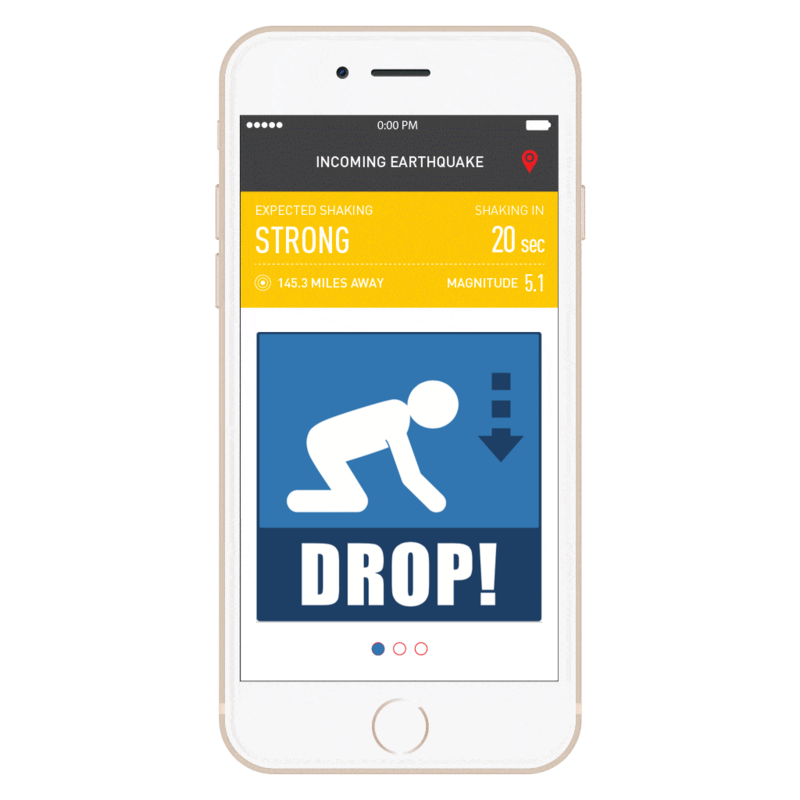 Thanks to the QuakeAlert App, you’ve avoided major injury, and have the peace of mind that you’ll be ready for the next one.